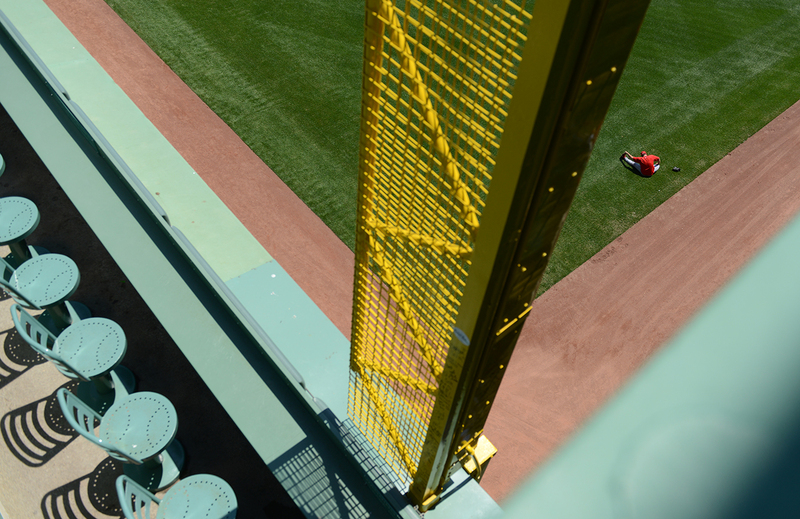 A Los Angeles Angels of Anaheim player stretches in the outfield grass below the Green Monster at Fenway Park in Boston, Ma. before a regular season game against the Boston Red Sox on Sunday, May 24, 2015. The Red Sox defeated the Angels 6-1. Photo by David Andrews.